Would Mario Williams be a Fit for Bears' Needs? The Chicago Bears are in the unenviable position of trying to upgrade at just about every spot on their roster, but an interesting option could be presenting itself as they look to improve their defense. 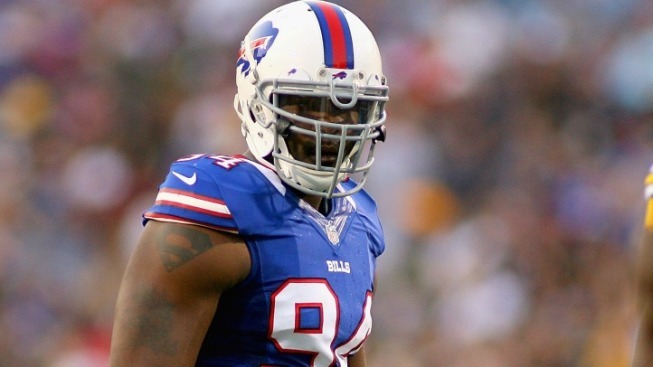 That option is defensive end Mario Williams, who was cut by the Buffalo Bills on Tuesday morning. Williams, who registered 10 or more sacks in each of his first three seasons in Buffalo, ended up on the chopping block for the Bills after a subpar 2015 campaign where he registered just 15 tackles and five sacks in 15 games played. At 31 years old, Williams doesn’t exactly fit the mold of “young, exciting player” that Bears G.M. Ryan Pace has thus far pursued for big bucks in free agency (see Pernell McPhee as an example), but Williams could provide a spark to an unimpressive Bears’ pass rushing group. The team is looking for improved play opposite of McPhee, and while they do have players like Willie Young and Lamarr Houston around, they could still potentially make use of Williams if they chose to. Unfortunately, there are several factors that could work against the Bears. Odds are there will be multiple teams interested in acquiring Williams’ services, thereby driving up his price tag, and to further complicate things, it’s unclear whether Williams would be able to play defensive end in Vic Fangio’s 3-4 system. He did briefly play outside linebacker when the Houston Texans switched to a 3-4 in the 2011 season, but the last four years in Buffalo have seen him switch back to defensive end in a more tradition 4-3 scheme. The Bears still do mix up their looks however, so there could potentially be room for Williams in the fold if the price ends up being right for him.